Welcome home to Riverside at Rivertown. This boutique community of 20 homes features custom and semi-custom homes on large preserve home sites. This for sale model home has upgrades galore. The home welcomes you with an inviting front porch of re-claimed red brick that leads to a vaulted foyer. An open concept home, it has a custom kitchen with cabinets to the ceiling, quartz countertops, Butler Pantry with wine fridge, Under cabinet lighting and all Viking appliances. The family room has a masonry gas fireplace, custom ceilings, built-ins and hardwood throughout. The master suite features a large bay window to view the amazing tree canopy and a master bath that has separate his and her vanities, a ''spa like'' feel and a full Moen automated shower. NO CDD Fees. 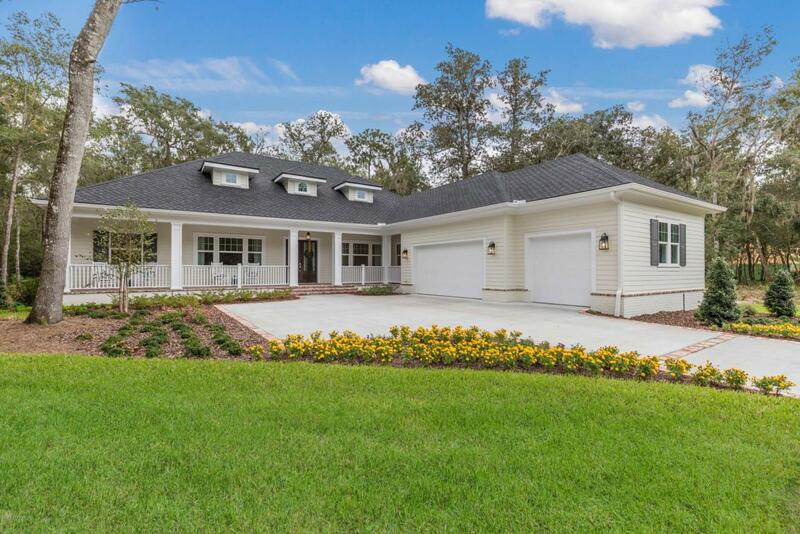 Do not miss this homeOther "model home" features included a full summer kitchen, tiled rear lanai, paver paths and fire pit, home automation through Control 4, custom drop zone, garage organization, epoxy garage floors plus many designer features. The model home is offered furnished or unfurnished. Listing courtesy of Castlerock Realty Llc.